Andrew Shankman received his B.A. from Northern Illinois University in 1992 and his Ph.D. from Princeton University in 1997. 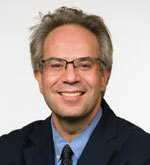 He is Professor of History at Rutgers University-Camden, editor of the Journal of the Early Republic, and is the author of Original Intents: Hamilton, Jefferson, Madison, and the American Founding (Oxford, 2017) and Crucible of American Democracy: The Struggle to Fuse Egalitarianism and Capitalism in Jeffersonian Pennsylvania (Kansas, 2004), which was a History Book Club selection. He is the editor of Anglicizing America: Empire, Revolution, Republic (Penn Press, 2015) and The World of the Revolutionary American Republic: Land Labor and the Conflict for a Continent (Routledge, 2014). He has published fifteen essays treating the American Revolution and the Early American republic, and his article “A New Thing on Earth: Alexander Hamilton, Pro-Manufacturing Republicans, and the Democratization of American Political Economy” received the Program in Early American Economy and Society best article prize and the Ralph D. Gray Society for Historians of the Early American Republic prize for best article published in the Journal of the Early Republic. Page last updated by Department of History at 9:29 pm July 5, 2018 . This page was printed from http://history.camden.rutgers.edu/about/faculty/andrew-shankman/ at 5:39 AM Friday, April 26, 2019.